For local produce and welcoming neighborhood vibes, head to these DC markets near you. There are plenty of farmers' markets in Washington, DC. Whether you are looking for local produce and fresh vegetables, handmade pastas and artisanal cheeses or prefer to catch a chef demo and score some samples, there’s something for everyone. 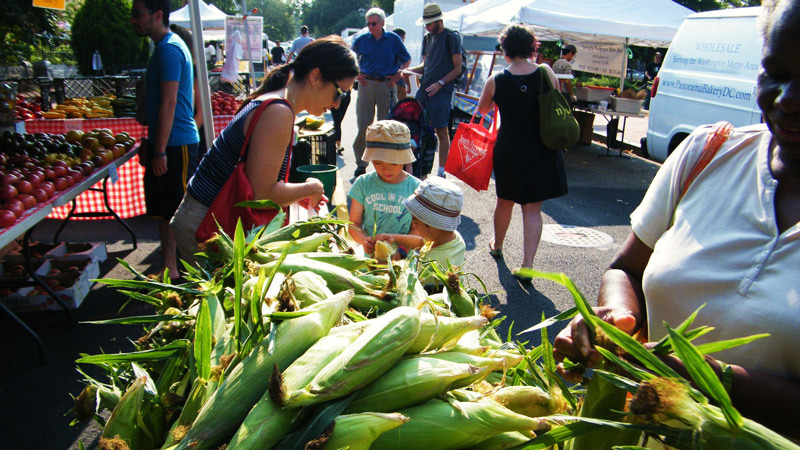 Head into DC's neighborhoods and check out these great farmers' markets. Open year-round, the Dupont Circle FRESHFARM Market can be found in one of the city’s most vibrant neighborhoods. During the warmer months, there are more than 50 local and regional farmers offering fruits and vegetables, meat, poultry, fish, cheeses, fruit pies, breads, fresh pasta, cut flowers, potted plants, soaps and herbal products. Located just seven blocks east of the U.S. Capitol, Eastern Market is listed on the National Register of Historic Places. From Tuesday through Sunday, guests can visit South Hall Market, where merchants serve everything from meats and pasta to baked goods. On Saturdays and Sundays throughout the year, local artists (think painters, woodworkers, potters) set up tents for the Flea Market at Eastern Market so you can stroll, taste and shop. Last but not least, the buckwheat pancakes at The Market Lunch must be part of your excursion. 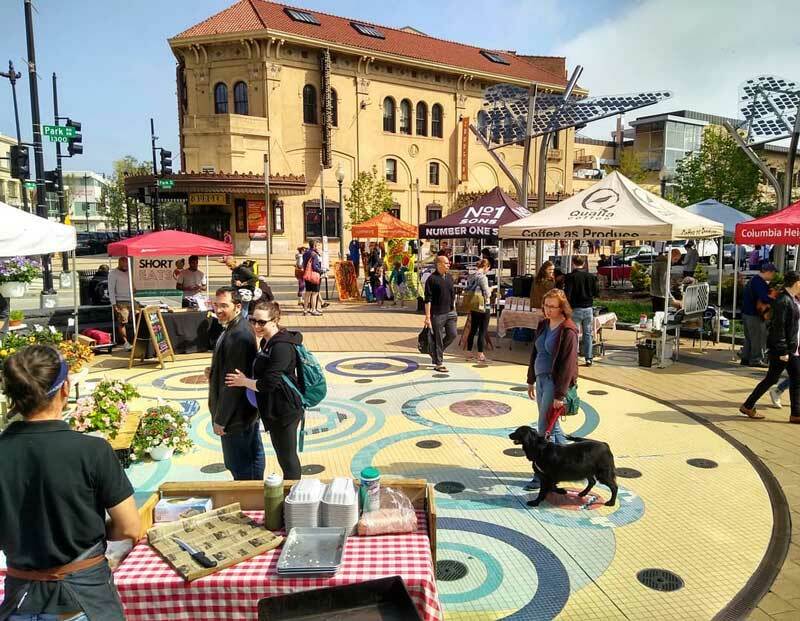 Located in the heart of one of DC’s most buzzworthy neighborhoods, the 14&U Farmers' Market shows off the goods every Saturday from 9 a.m. – 1 p.m. from May through November. 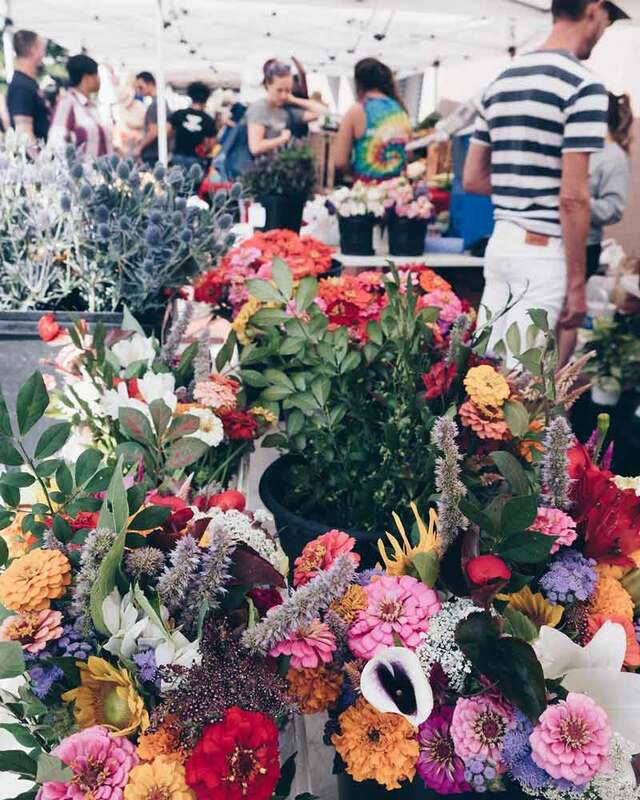 The market serves up an array of fresh produce, beautiful flowers and plants and plenty of delectable offerings from handmade pies and quiches to ice cream and cookies. After four seasons as an open-air farmstand, the Mount Vernon Triangle farmers' market was upgraded to a full-fledged market open on Saturdays from 10 a.m. – 2 p.m. from May through October. You can still scope out the fresh field produce you've come to expect and peruse all of the other farm products on-hand, including grass-fed meats, baked goods, jams and jellies, farmstead cheeses, empanadas and much more. If you’re in the mood for tacos, head to the Columbia Heights Farmers Market at Civic Plaza on 14th Street and Park Road NW from 9 a.m. – 1 p.m. on Saturdays (April through December) or from 4 - 7 p.m. on Wednesdays (May through October). Established in 2010, this farmers' market serves fresh produce, cheese, bread, seafood, empanadas, ice cream…we could go on, but you should check it out for yourself. A must-try: java from Qualia Coffee. Located at the Ronald Reagan Building and International Trade Center, Capital Harvest on the Plaza is open from 11 a.m. until 3 p.m. on Fridays from May through November. During your visit, you’ll find plenty of farm-fresh deliciousness and artisanal crafts, as well as recipes and tips for maintaining a healthy lifestyle. Check out the full list of vendors to start planning your haul. In addition to the Dupont Circle and Mount Vernon Triangle FRESHFARM markets, these DC purveyors of sustainable agriculture and delicious, fresh produce, operate many other markets throughout the nation’s capital. On Tuesdays from 11 a.m. – 2 p.m. (May through October), check out the bustling CItyCenterDC market or wait until the weekend and check out the Saturday market on H Street NE (open 9 a.m. – 12:30 p.m. from April through December). 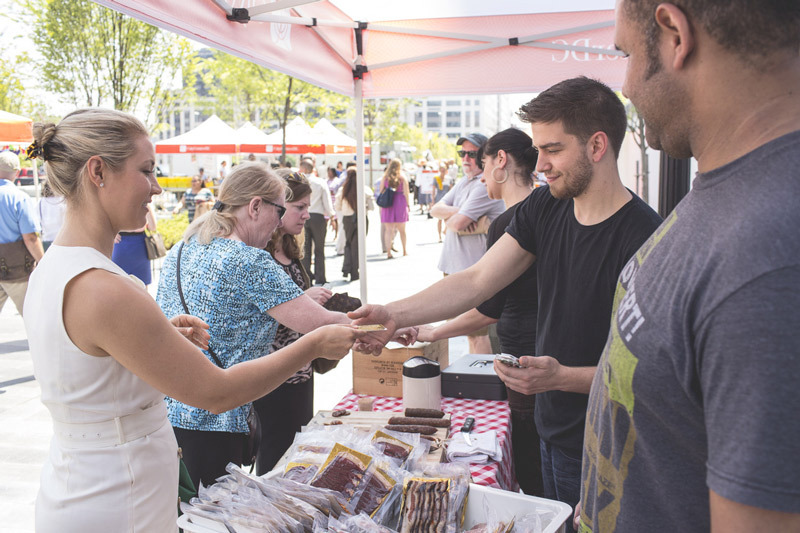 There's also the Sunday markets on the Capitol Riverfront, open from 9 a.m. – 1 p.m. (May through October) and in NoMa (open from 9 a.m. – 1 p.m., May through October). Check out the full list of FRESHFARM Markets in DC. No need to make note of specific dates: the Palisades Farmers Market in Upper Northwest is open on Sundays year-round from 9 a.m. – 1 p.m. This community-minded market promotes freshness, nutrition, taste and variety, using farmers and producers from all over the area. Seriously, the list spans from DC proper all the way out to Tappahannock, Va. and Sharpsburg, Md. The market also hosts Neighbor’s Corner, where local organizations and interest groups can inform you on how to get more involved with communal efforts. 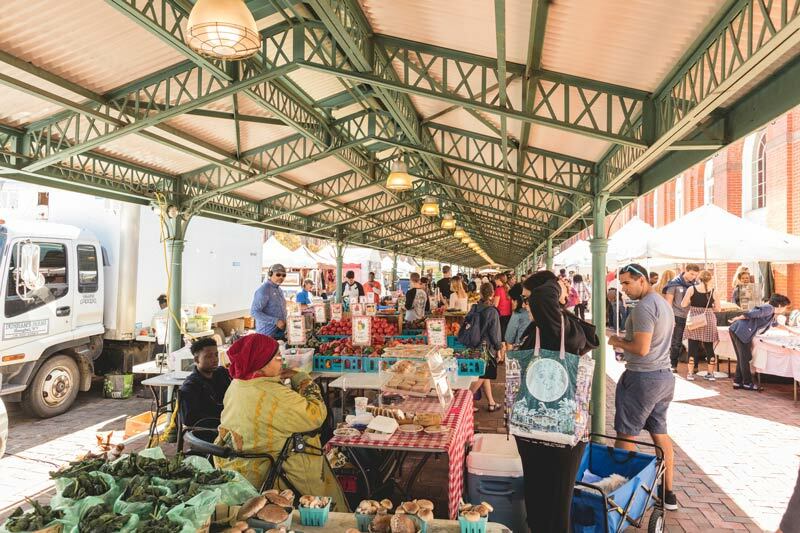 Lovingly known as “BFM” to locals, this Sunday market (9 a.m. – 1 p.m. from May through November) can be found on R Street between 1st Street and Florida Avenue NW. The market strictly abides by a local producer-only policy, and features DC restaurants on-site during certain weekends. You can expect quite the gathering each weekend, and the reasons are obvious: The market serves up a wide variety of cheeses, fruits, eggs, preserves, breads and grass-fed meats. Did we whet your appetite? Discover the best farm-to-table restaurants in Washington, DC.